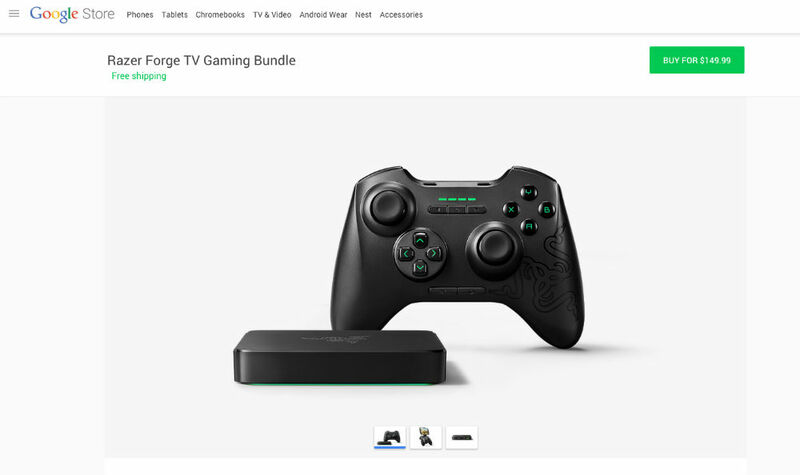 Forge TV, Razer’s own Android TV-powered set-top box is now available through the Google Store. Priced at $149, buyers get the actual Forge TV box, coupled with a Serval Gaming Controller. The Forge TV is a rather small unit, featuring just a single HDMI port, gigabit ethernet port, and USB port. When compared to something like the SHIELD from NVIDIA, it’s lacking just a little bit in the hardware department. However, the included Serval controller can be attached to smartphones, providing mobile gamers a new way to enjoy their playtime while on the go. The Forge TV bundle is priced at $149, the same as it is over on Amazon. If you have been meaning to pick one up, but were just waiting for the right moment, go for it.